Outbeat News In Depth is a news magazine style radio show featuring a closer look at the people, events, and issues impacting the LGBT community in the California North Bay and beyond. Each show features two to four stories including the Outbeat Youth segment. The stories come from our local community and from around the country. We take a closer look at stories featured in weekly Outbeat News segments. Our goal is to keep our listeners informed of the important people, issues, and events affecting LGBT people. 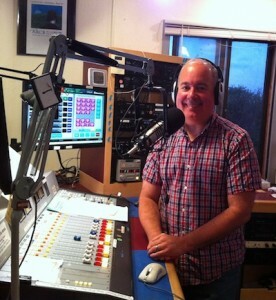 Outbeat News and Outbeat In Depth is produced and hosted by Greg Miraglia. Gary Carnivele writes local news stories and the community calendar for Outbeat News. He also serves as a special correspondent. You can listen to past shows by clicking on Show Notes and News at the top of this page. You can hear all past Outbeat Radio shows by going to our main website. Click on Outbeat Radio at the top of this page. Stay connected and informed all month long by following us on Facebook, Twitter, and here on this website. Join our mailing list and be the first to know about special events, shows, and on-the-air give-aways.